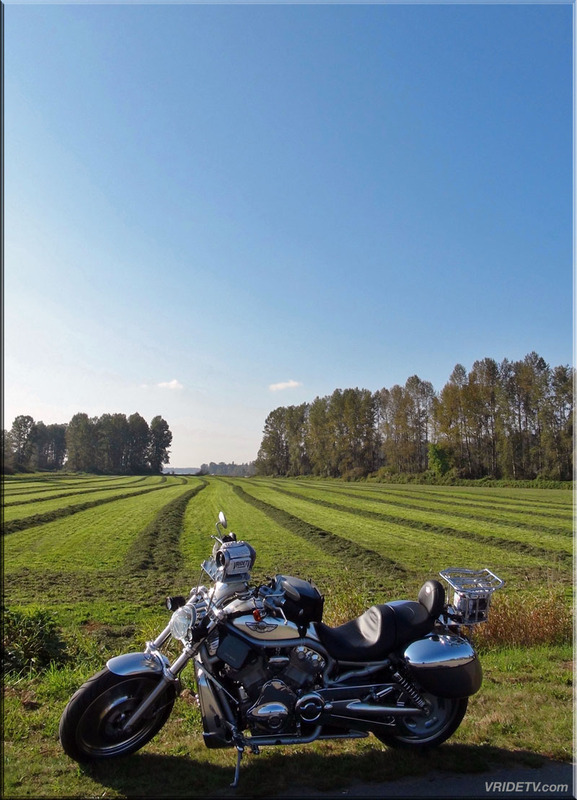 Motorcycle Riding in Canada Info page. Vridetv is a free motorcycle touring and travel site. In addition to the 31 World Heritage Sites, Canada also has an abundance of Provincial and National Parks. These landmarks, and countless roadside points of interest, are the destinations of VRIDETV. Our website is free of charge attracting an expanding audience of motorcycle, nature and travel enthusiasts. We supplement our server, equipment, and travel expenses through our sponsors, advertisements and donations. If you enjoy the Virtual Riding Television experience and want to help us maintain our free service, please visit our sponsors, make a purchase from our online store, or even just tell a friend about us. To capture the stunning landscape, we run three high definition video cameras. Our main camera is mounted to the handlebars of Jeff’s motorcycle, the second is used for hand-held shots and the third is mounted to his helmet. We have accumulated over 450 hours of high definition content that we use to produce videos on a regular basis with new footage captured through-out the riding season. The traditional sense of the word, “television” is rapidly changing as more people are turning to the Internet to fulfill their media needs. With major television networks shifting their emphasis to Internet programming we see a rapidly growing potential in online multimedia. We provide free high definition content, on demand, 24 hours a day, to a world wide audience looking for a point-of-view experience of the majestic Canadian landscape. Concept: After seven years of recovery from my near fatal motorcycle accident, I decided to not only start riding again but to actually ride across Canada. In April of 2006, we mounted a high definition video camera to the handlebars of my motorcycle intending on taping our trip. We wanted to have our journey captured to view it for years to come. While on our trip we heard the same question from people on a daily basis, "what's that thing on your handlebars". (Referring to the camera). We explained that we were traveling across Canada and taping our adventure. The second question was, "how can I see it?". This happened repeatedly, almost every time we stopped. People of all ages would come up to us and express interest, share stories and give us ideas of where to ride next. We soon realized that the footage we were capturing appealed to a significant number of people and there was a audience waiting to see it. The idea of Virtual Riding Television had begun. On this trip we captured 166 hours of high definition video footage, shot over 2000 photos, and rode 18,786 kilometers in eight weeks. It was an incredible journey across the second largest country in the world, coast to coast round trip. Canada is an amazing and beautiful country rich in it's diversity. We will continue to explore this vast Nation and it's Provincial Parks, National Parks and World Heritage Sites on two wheels and upload our videos, photos and experiences on Virtual Riding Television.